“Arrested Development” should have ended already. If not for Netflix’s shrewd (read: manipulative) Emmys strategy of splitting the season in two — so Season 5 could qualify for the 2018 and 2019 ceremonies — and creator Mitch Hurwitz’s obsessive editing tendencies, the Bluth family would have wrapped up its latest misadventure in May 2018. Audiences wouldn’t have to question whether it’s worth reengaging with a suddenly complicated series all over again, now, after most of the buzz has quieted. Perhaps if it came out with the rest of the improved fifth season, this latest ending (in a long line of endings) wouldn’t feel like such a whimper. Season 5, Part 2 isn’t getting the red carpet rollout of the first half. It’s got no real shot at awards, nor does it really deserve them. The second half isn’t bad, but it’s bumpier, longer, and less hopeful than its initial episodes. It also is what it is. Rather than looking forward to what’s next, or hoping “Arrested Development” will get back to being its old, classic self, these episodes are simply here, in your queue, waiting for whenever you’re ready. They don’t represent anything more that what they are, and that alone makes watching a little less fun. Hurwitz seems to recognize this. He mercifully wraps up most of the hanging storylines — the missing Lucille No. 2, Buster’s trial, Michael and George Michael’s rocky relationship — and suggests there’s not much story left to tell. Sure, it would have been nice if he (or Netflix) realized that before taking 10 months off — or prior to setting up the 47-minute finale — but at least Season 5, Part 2 offers a fitting goodbye. In case you forgot, Season 5, Part 1 ended with a few minor cliffhangers. Tobias (David Cross) rushed his girlfriend, Debrie (Maria Bamford) and “son,” Murph (Kyle Mooney) to the hospital, after the former pulled off impersonating an absent Lindsay (Portia de Rossi) during the Second of July parade. (De Rossi retired from acting, which explains why Lindsay remains absent for 99 percent of Part 2, but her absence is still felt.) They’re fine, and spend most of the second half of the season playing pretend family and spouting innuendos — Tobias doesn’t work as well without Lindsay there to check him. Buster (Tony Hale) and Oscar (Jeffrey Tambor) go on the run together after the parade. Oscar wants to spend time with his long-lost son, and Buster believes he’s wanted by the police. 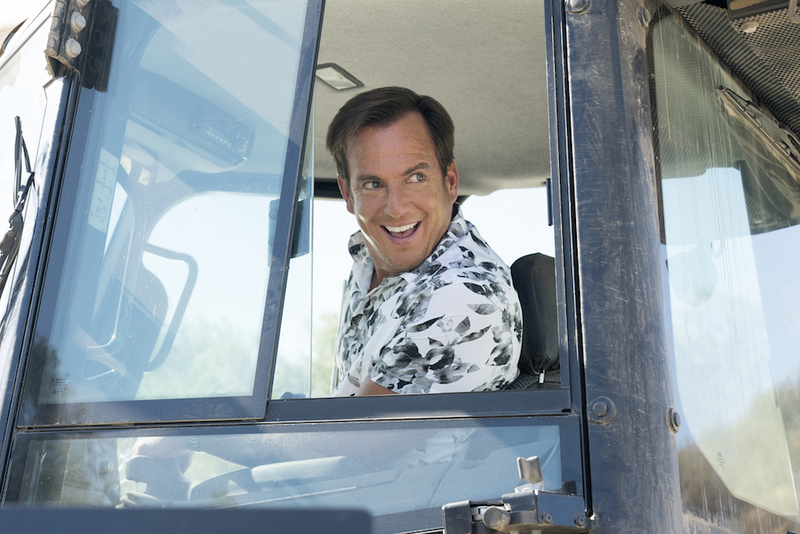 To say more would enter into spoiler territory, but it’s safe to say Part 2 will affect your perception of the youngest Bluth sibling, even as just about everyone else remains unchanged — like the unflappable Gob (Will Arnett). After witnessing his would-be boyfriend Tony Wonder (Ben Stiller) drown in cement, Gob doesn’t slip back into darkness so much as he embraces denial. Gob and Tony’s relationship is one of the few developments in Season 4 that really works, but there’s little room for advancement by now. 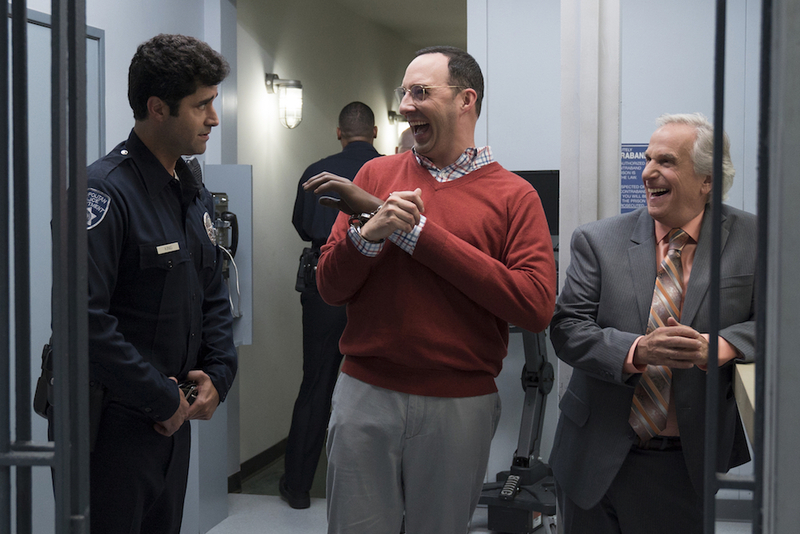 Hurwitz continues to dance around the two illusionists’ self-delusions, while Arnett makes the most of it. After utilizing her penchant for delightful shenanigans well in Part 1, Maeby (Alia Shawkat) runs out of grifts in Part 2. George Michael (Michael Cera) is also stuck in a bit of a loop, as he tries to simultaneously hide his Faceblock start-up’s failings and find a good reason to confess everything. His relationship with his dad, Michael (Jason Bateman), remains tantamount, and the season briefly questions the central protagonist’s obsession with saving his family, but a lot of what goes down retreads old territory. Hurwitz sparks to life when he plays with genre. Trial scenes are light and entertaining (someone should talk to the creator about his experience with lawyers, as he continues to create one memorable attorney after another), while the murder-mystery flashbacks (with three perfectly cast cameos) show multi-pronged ingenuity; comic timing, ominous score, and ghastly desaturation come together to serve each scene. It’s clear why Hurwitz detours from the plot: The journey is more fun than the destination. Plot was never key to the success of “Arrested Development.” Fans remember weird tangents about dead doves and chicken dances, not why and how the family went broke or got rich. The structure was clever, the editing sharp, and the performances engaging. After 16 years and a few stops and starts, those elements have dulled, exposing more flaws as well as a lack of urgency. Offscreen behavior tampered with the audience’s connection to the characters, as did a lack of consistency, but to be clear: Season 5, Part 2 doesn’t leave Season 4’s bad taste in your mouth. It’s not something that needs to be recut or apologized for; it’s still very much in rhythm with the first half of the season, and there are more than a few laughs to be had. So why not call it quits? It’s not a perfect ending, but “Arrested Development” is not a perfect show. Moreover, the Bluths exist in a sitcom universe where their actions will repeat no matter what. They have limited growth potential by design. (Just look at the title.) If Michael stopped being the fixer, the narrative gears would stop turning or spin out of control. But the only way for he and his son to be happy is if he does just that. So let him. Let all of us. It’s time to move on — free at last. “Arrested Development” Season 5, Part 2 premieres March 15 on Netflix.